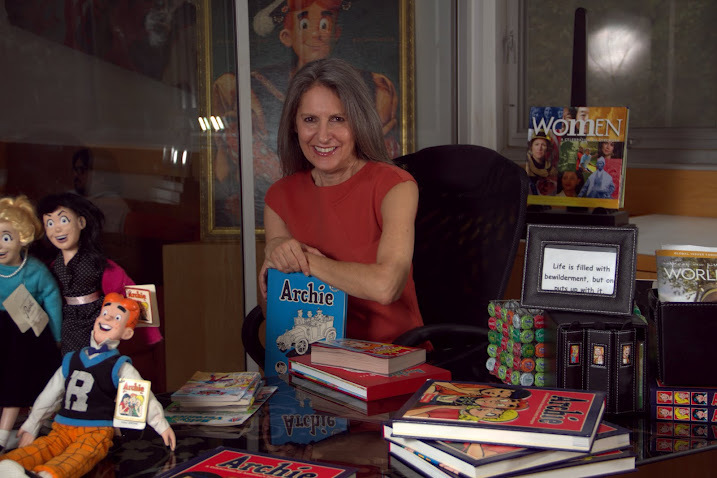 Nancy Silberkleit Co-CEO of Archie Comics Publications, leads educational initiatives to promote literacy and create a love of reading amongst children. In 2012, Silberkleit created Rise Above Social Issues Foundation to address challenging issues such as bullying, obesity, literacy. Using the power of comic books, Rise Above Social Issues Foundation Inc. encourages literacy and confidence so that youth can become positive influences on their peers. After obtaining a Bachelor of Arts in Art and Education from Boston College, Silberkleit began her career as an art teacher. spending more than two decades educating elementary school-aged children in New Jersey in various arenas of visual arts. Committed to strengthening children’s creative skills and awareness, she played a large role in establishing the Hudson Valley Children’s Museum in Nyack, New York and sparked the idea of Authors Night for the East hampton Library which today is a sucessful star studded fundraiser. When Nancy’s husband Michael Silberkleit, chariman of Archie Comics passed away, she assumed his position with the global comic venture. Nancy Silberkleit broadened her dedication to early learning and introduced Comic Book Fairs, events in which schools sell comics, thereby encouraging reading among students. Nancy Silberkleit consistently strives to encourage literacy and create awareness for anti-bullying to youthful audiences. Silberkleit resides in New York. In additon the Anti-bullying initiatves, Ms. Silberkleit is a member Rennassaiance Weekend: An Intellectual Think Tank, The Common Good and The Friars Club; She sits on the board of Windows for Widows and College and Community Fellowship and she supports Mothers Against Drunk Driving (MADD), and the Plastic Pollution Coalition. I just discovered your new project online today and love what you are doing. worked for ACP some time ago — and loved it. Hope we can connect.